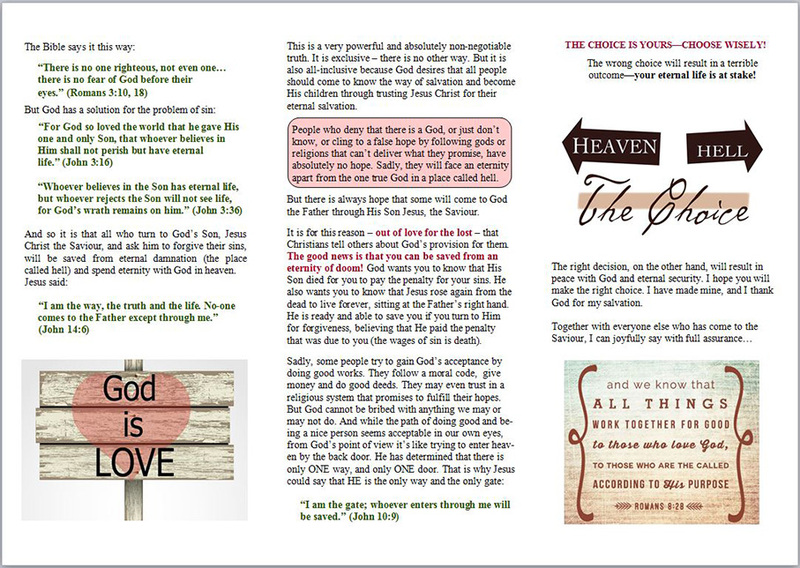 The photos below show the two pages of this tract. The print quality will be much sharper, even on standard white copy paper. 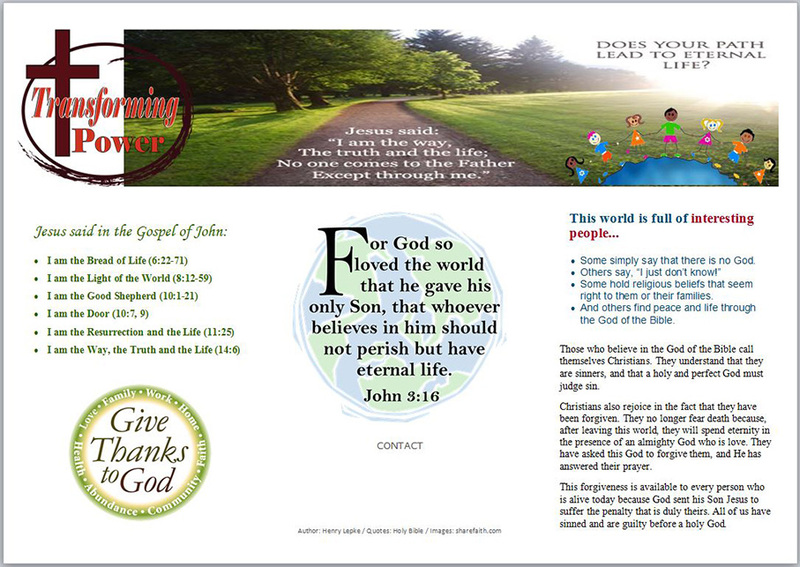 Simply download, print double-sided, then fold twice into a tri-fold pamphlet (page 1 > outside of the tract, page 2 > inside). May God bless you for spreading His Word!